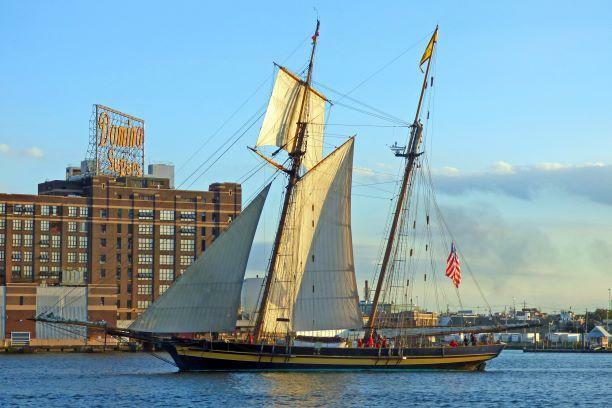 The Pride of Baltimore received FY2018 MHAA funding for a refit of the majestic tall ship. Photo by Joe Brooks. Do you have a heritage tourism related project in mind for your organization? Perhaps you are planning to restore a historic building, create a new museum exhibit, build a visitor center, develop a walking tour, overhaul your website, host an event, or undertake some other project that showcases Maryland's unique historical, cultural, or natural resources. Will the project take place in the Baltimore National Heritage Area? If you answered "yes" to these questions, a Maryland Heritage Area project grant may be the funding source for you.